Asia Australia Mental Health and two of China’s most prestigious medical colleges have signed agreements to work towards innovative models for collaboration in training the next generation of Chinese psychiatrists and mental health experts. The Memorandum of Understanding signings are in response to China’s new national mental health priorities, announced in June 2015. 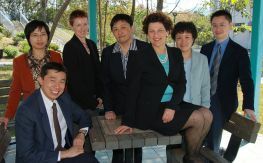 Asia Australia Mental Health (AAMH) is a partnership between the University of Melbourne’s Department of Psychiatry within the Melbourne Medical School, Asialink, and St. Vincent’s Mental Health. The University of Melbourne, through AAMH, has become the key international partner in China’s national mental health reform program, which involves 250 cities, 1800 districts, and covers a population of 940 million. The MoUs, signed with Peking Union Medical College; the PKU Institute of Mental Health, and PKU Healthcare, will see work towards the development of a national training program for mental health professionals who want to upgrade their qualifications. Asialink CEO Jenny McGregor described the project as a ‘huge undertaking’ based on many years of developing trusted partnerships between China and Australia. “Asialink brings a deep understanding of Chinese culture and cultural difference, which will be critical in developing appropriate courses for Chinese mental health professionals,” she said. 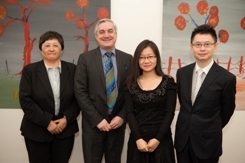 “Working with esteemed colleagues at Peking University Institute of Mental Health and Peking University Healthcare, we are exploring new ways to provide advanced skills in psychiatry to assist the training of new psychiatrists in China and assist in the provision of high quality care for patients with mental illness,” said Prof Ian Everall, Head of Psychiatry at the University of Melbourne. 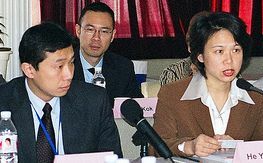 The State Council of China mental health work plan aims to treat 80 per cent of people with severe mental illness and double the number of doctors with mental health training to 40,000 by 2020.However, there is currently a severe shortage of professionally trained staff to deliver adequate mental health services. 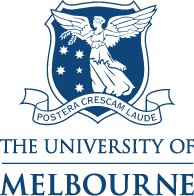 The University of Melbourne initiatives aim to skill the enormous number of medical and other health professionals required to achieve these highly ambitious government targets.